View cart “Lime Green Chair” has been added to your cart. 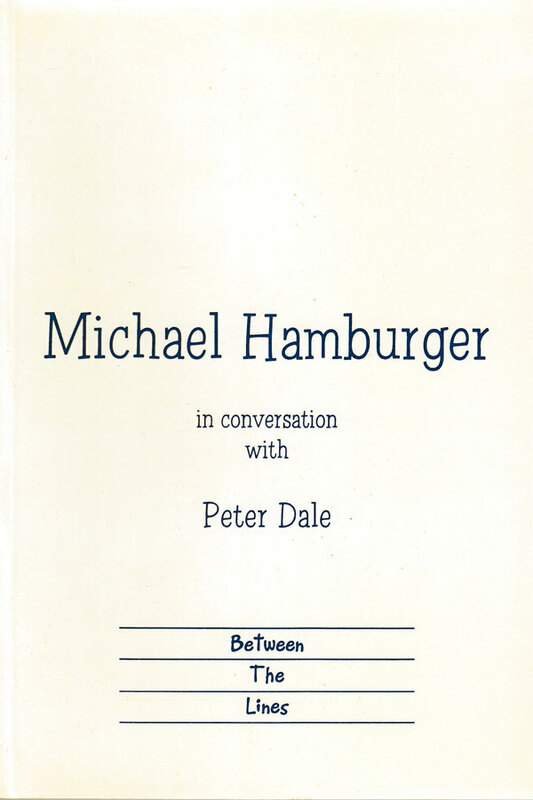 An eighty page book, containing a 24,000 word interview, with a career sketch, a comprehensive bibliography, and a representative selection of quotations from Hamburger's critics and reviewers. One contemporary poet with whose name yours is inextricably linked by English speakers is Hans Magnus Enzensberger. 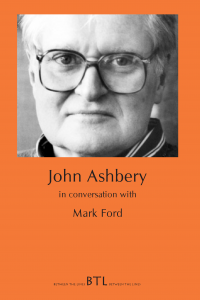 You translated some of the earliest po-ems of his to appear in English – a Northern House pamphlet of 1966 – and you’ve helped in translating a good deal of his work since, including the majority of the poems in his Selected (1994) and the majority of Kiosk (1997). So could you tell us something about your association with Enzensberger; for example how it started, how it is sustained? Collaboration between creator and translator can be a difficult relationship to maintain. Enzensberger is fluent in English and translates some of his own work. This must complicate things when you are translating him, making translation almost like two poets combining to write one poem. Hans Magnus Enzensberger is one of the poets more or less coeval with me whose work I began to translate as soon as it appeared – and he was wholly himself in his very first collection of 1957. One or two of my earliest translations appeared in the anthology co-edited with Christopher Middleton, Modern German Poetry 1910-1960 of 1962. Since I was never a professional, full-time translator and hardly ever accepted commissions, but had to earn a living in various ways and reserve time for my own writing, I could never take on the translation of whole collections of poems or more than the shortest of prose works; and Enzensberger – like Günter Grass, poems of whose I also began to translate at the time – became a prolific author of prose works – essays and tracts rather than novels, in his case. The association has lasted until now – not without difficulties and crises of course, including one in which I almost ceased to be a translator of his poems. Could you say anything of this crisis? It wasn’t a row with Enzensberger. It was a publishing project problem. I think it was Carcanet who were going to do a large book of Enzensberger’s selected poems, some time in the Eighties. It was to be in collaboration with an American publisher. They had chosen another editor, a German professor working in America. He edited it for them and put in a lot of his own translations, and all kinds of odd translations. And the fact is everybody turned down this book – Carcanet and others, Penguin as well. There was quite a rumpus over it. I would have ceased to be Enzensberger’s translator simply because this editor had more or less displaced me, including only a few of my translations. Then eventually Enzensberger went to Bloodaxe. He must have fallen out with Carcanet over this, too, because they did one book, his Titanic book. I don’t know what happened there. It wasn’t a quarrel between Enzensberger and me. But my fitness to translate his poems was called in question long ago, when Kenneth Rexroth objected to my British idioms in translations also published in America; and again more recently by Michael Hofmann, who thought me far too old-fashioned and ‘conservative’ a poet to translate one who has always been staggeringly and brilliantly up-to-date – intellectually, I mean, with a range of knowledge and information, therefore of allusion and terminology, that has indeed given me some trouble at times, when I know much more about plants and animals than about the latest developments in technology, economics and social organization, or the names of the various brushes used by old masters, in one instance. The last, though, indicates that Enzensberger’s modernity – he was never a Modernist, aesthetically, and was an early debunker of avant-gardism – is by no means all there is to him; and it was he who decided that I was to remain a translator of his poems, together with himself. When, in my retirement, I was able for once to translate a whole book of his poems, the outstanding latest one, Kiosk, there were a few duplications between us, as over the preceding Selected Poems. Where both he and I had translated the same poem, we referred the two versions to an independent arbitrator. Enzensberger translates his own poems a little more freely than I translate them, sometimes even taking the opportunity to write a somewhat different poem in English, as he has every right to do, but I, by my lights, have not. Earlier on, you had collaborated in works of translation with Stephen Spender and, as you say, with Christopher Middleton. This combination of two poets to one text must have been the trickiest of all types of translation. You took over full control of the Spender/Hamburger work in the end. Spender seems a very vague poet. Was it as difficult as we imagine to work like that? Would you agree that the dislike that many of the English have for German literature which you remarked on at the beginning of A Proliferation of Prophets is not nearly so marked as it once was? If so, what explanation would you give? Is it simply that the quality of translation, your own and other people’s, has enabled the English – monoglots and francophiles – to see more clearly the strengths and value of the literature? What other factors have also been at work in your view? The resistance to German works in Britain is a very complex matter, only partly political. For me one aspect of it was summed up by Coleridge’s – Coleridge’s! – remark in his Table Talk – noted by me in my copy of some fifty years ago and quoted I have forgotten where in my books: ‘Poetry is something more than good sense, but must be good sense, at all events; just as a palace is more than a house, but it must be a house at least.’ This when German literature was just being discovered in Britain, thanks in part to Coleridge, and about to be taken very seriously by later generations of English and Scottish writers. Thanks in part to two world wars, the resistance could be total when I began to be active. Cyril Connolly didn’t include a single German work among his exemplars of ‘advanced’ European writing; and he was representative of smart opinion in his time. When I took the octogenarian, distinguished German poet Wilhelm Leh-mann to see Robert Graves, while Graves was Professor of Poetry at Oxford – Lehmann had become an Anglophile as a prisoner of war in England during or after the First World War, had translated poems by Robert (von Ranke!) Graves and admired him – Robert Graves asked Lehmann: ‘Are there any poets in Germany now?’ Even Eliot, who had little use for German writers of any period, made an exception of the Austrian, Hofmannsthal, and knew the post-war work of one contemporary, Gottfried Benn. I was ashamed to have been instrumental in bringing about this meeting between a British poet and his German senior, whom he treated like a schoolboy, or undergraduate at best, never so much as acknowledging that Lehmann, too, was a poet. The whole of so-called ‘Expressionist’ painting didn’t come into its own here until long after the last war. For years I was asked by well-educated people whether Hölderlin was a contemporary of Rilke’s – just about the only German language poet who had broken through the barrier between the wars. English good sense, whose lower, un-Coleridgean reaches lend themselves to bigotry and coarseness, and English snobbery about what is smart – in the British, not the American, sense of the word – had as much to do with the resistance as anti-German sentiments since the First World War. The snobbery has diminished, replaced by sensationalism about ‘celebrities’ and the cult of publicity for publicity’s sake, measured in figures not quality, and the political prejudice has been replaced either by tolerance or by indifference. Now it’s the indifference to all good writing that isn’t sensational my translations are up against; and it makes little difference whether they are from the German or another language, when the same indifference meets even the work of English poets who happen to have won no competitions nor attracted publicity for something other than the merit of their work. The nearest thing to general assessments of a writer’s work now appears in obituary columns. If the better newspapers were interested in extending that privilege to writers who have withstood neglect and are still kicking, they would have to give that amount of space and care to people who are only candidates for death; not as a boost to those writers but as a service to readers. Kiosk has received, I believe, only one review so far, a good one by Lawrence Sail. Given Enzensberger’s track record this seems odd. Is it evidence that your optimism about the reception of German literature here may be somewhat shakily founded? Or is something else behind it, like the general demise of serious critical reviewing nowadays that you have just referred to? What you say about Enzensberger’s Kiosk is one instance of that, among many. I am told that Charles Tomlinson’s last book of poems didn’t receive a single review in the press. My long poem Late has received two notices in the press, but no thorough critical attention yet, other than from private correspondents. It’s the disappearance of criticism, not notice, that is fatal to the continuation not of imaginative writing but of its reception; and the substitution of irrelevances for criticism – even, at times, in the few periodicals still devoted to literature. Lawrence Sail’s review of Kiosk was a remarkable exception to this trend. 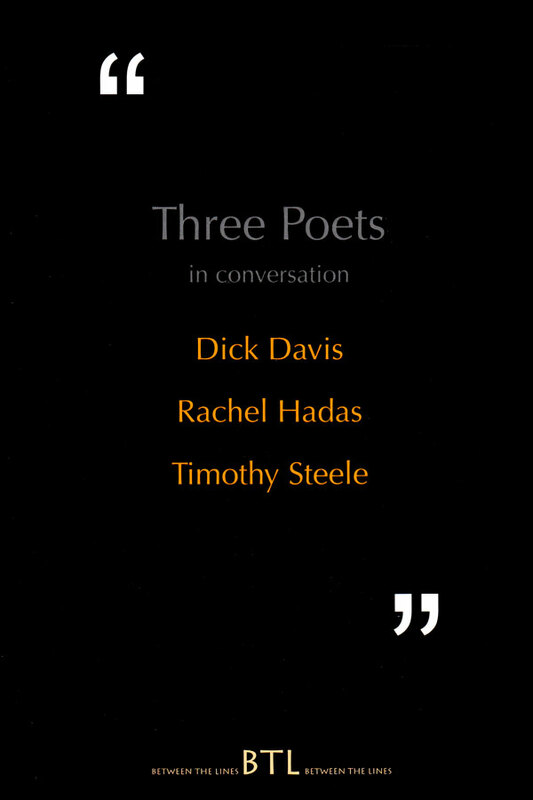 Peter Dale was born in 1938, educated at Strode’s School, Egham, Surrey, and St Peter’s College, Oxford. 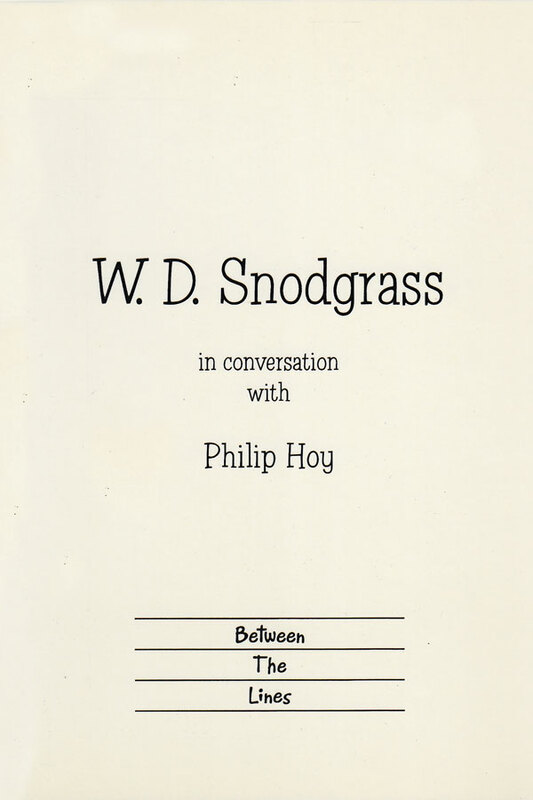 He was Head of English at Hinchley Wood Comprehensive School for twenty-one years and for a similar period shared the editing of Agenda with William Cookson. Currently he edits the poetry page for Oxford Today and is a freelance poet, translator and editor. His verse publications include: Da Capo (Agenda Editions, London, 1997), Edge to Edge: New and Selected Poems (Anvil, London, 1996), Earth Light (Hippopotamus Press, Frome, 1991), A Set of Darts: Epigrams for the Nineties [with W.S. Milne and Robert Richardson] (Big Little Poem Books, Grimsby, 1990), Too Much of Water (Agenda Editions, London, 1983), One Another (Agenda Editions, London/Carcanet New Press, Manchester, 1978), Cross Channel (Hippopotamus Press, Frome, 1977, )The Storms (Macmillan, London, 1968), Mortal Fire: Selected Poems (Agenda Editions, London,1976) and Mortal Fire (Macmillan, London, 1970).His translations include: Wry-Blue Loves and other Poems: a verse translation of Les Amours jaunes by Tristan Corbière, A Poetry Book Society Recommendation for Translation, Anvil, London, 2005, Dante: The Divine Comedy, terza-rima translation, (Anvil 1996, 1998, 2001, 2003), Poems of Jules Laforgue, verse translation with facing text, (Anvil, 2001), Poems of François Villon, verse translation with facing text, (Anvil, 2001), Dante: The Divine Comedy (Anvil, London, 1996), Poems of Jules Laforgue (Anvil, London, 1986),Narrow Straits: Poems from the French (Hippopotamus Press, Frome, 1985), François Villon: Selected Poems (Macmillan/Penguin Books, London, 1973), and The Seasons of Cankam: Love Poems from the Tamil [with Kokilam Subbiah] (Agenda Editions, London, 1974). Dale’s An Introduction to Rhyme was published by Bellew/Agenda Editions, London, in 1998. He is currently working on a new volume of poems and has just completed a verse-translation of Paul Valéry’s Charmes for publication by Anvil in 2007/8. Michael Hamburger was born on 22nd March, 1924, in Berlin. The family emigrated to England in 1933 and settled eventually in London. Michael was educated at Westminster School and then won an Exhibition at Christ Church, Oxford, where he read modern languages, though his studies were interrupted by service in the Second World War from 1943 to 1947. Prodigiously, he published a translation of Hölderlin in 1943 and went on to combine the career of translator with the vocation of poet. 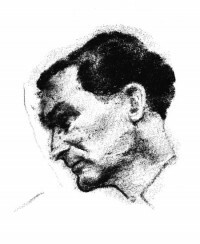 Initially he set out as a freelance, from 1948 to 1952, after which he became assistant lecturer in German at University College, London until 1955. Having married Anne Ellen File – the poet Anne Beresford – in 1951 he began to find freelancing no longer viable. This became even more obvious when they had children – three, and now five grandchildren. Consequently Hamburger divided his time between lecturing and writing and transla-tion. 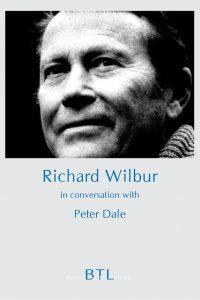 From 1955 to 1964 he was first Lecturer then Reader in the University of Reading. Subsequently Michael was obliged to split his time between America and England in a variety of appointments: Florence Purington Lecturer, Mount Holyoke College, Massachusetts for 1966-67; Visiting Professor, State University of New York, Buffalo in 1969; at Stony Brook for 1971. He was Visiting Professor at the University of South Carolina during 1973 and Regent’s Lecturer at the University of California, San Diego, 1973. Between 1975 and 1977 he was Visiting Professor at Boston University. Back in England, he became part-time lecturer at the University of Essex during 1978. He was a Bollingen Foundation Fellow from 1959 to 1961, and from 1965 to 1966. From 1972 till 1986 he was an F.R.S.L. He received honorary degrees of D. Litt. from the University of East Anglia in 1988 and D. Phil. from Technische Universität, Berlin in 1995. His indefatigable work in translation pioneered a greater understanding of German literature in the anglophone world during a most inauspicious century and he now has many followers and successors in the field of close mimetic translation. For such achievements he has won a number of awards, for example from: Deutsche Akademie für Sprache und Dichtung, 1964; the Arts Council, 1969; Arts Prize, Inter Nationes, Bonn, 1976. He was given the Medal of the Institute of Linguists in 1977; the Schlegel-Tieck Prize, London in 1978 and 1981; the Wilhelm-Heinse Prize medallion, Mainz in 1978; the Goethe Medal in 1986; the European Translation Prize in 1990; the Hölderlin Prize, Tübingen in 1991 and the Petrarca Prize, Modena in 1992. In this year he was also awarded an O.B.E. Since his service with the British Army in Italy and Austria after the war and revisiting his family roots, he became an almost obsessive traveller in Europe and America. His renewed acquaintance with German language and culture led in the sixties to a poetic and psychological crisis in which he had to end a tug of war between his first and second language as a creative medium. From about this period on, his poetry has moved from strict forms to more conversational and varied free verse, and later sequences concen-trate on developing variation form, as if from song lyric towards the free-dom of the Diabelli Variations. These mature works link three passions of his non-writing life, music, travel, gardening. – A horticultural passion of his begun in his days at Reading is the preservation of rare species of apple trees by growing them from seed. Peter Dale was born in 1938, educated at Strode's School, Egham, Surrey, and St Peter's College, Oxford. 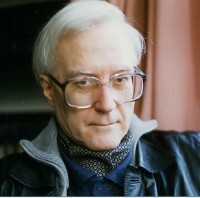 He was Head of English at Hinchley Wood Comprehensive School for twenty-one years and for a similar period shared the editing of Agenda with William Cookson. Currently he edits the poetry page for Oxford Today and is a freelance poet, translator and editor. Dale's An Introduction to Rhyme was published by Bellew/Agenda Editions, London, in 1998. He is currently working on a new volume of poems and has just completed a verse-translation of Paul Valéry's Charmes for publication by Anvil in 2007/8.